Indian culture is a rich, vibrant and multifaceted amalgamation of many cultures over several centuries. India has 29 states and 7 union-territories that are further sub-divided into districts and smaller divisions. 'Culture' varies from place to place. Indian culture is like Rasagola! Even the Rasagola, a sweet or dessert that has its birthplace in Odisha, varies from place to place! There are a mind-boggling varieties of Rasagolas, available in different sizes and colours, in Odisha! Indian culture means centuries-old traditions followed in many temples like the Shri Jagannath Temple in Puri, Odisha. Lord Jagannath means- The Lord of the Universe. Jagannath Dharma and the lessons from Lord Jagannath are universal. The skin-color of Lord Balabhadra, His sister, Devi Subhadra and His brother, Lord Jagannath (from left to right in the above pic) are white, yellow & black respectively, representing people from all parts of the world. This year 2015 is special as it is the time for Nabakalebara- when the Gods get new bodies. Ancient customs are followed even today. Rath Yatra is celebrated each year, not only in Puri, but all over the world. New technology is also present in today's culture! Smartphones and tabs are welcome! The 1970 Hindi movie Purab Aur Paschim (East & West) shows the difference between the culture of India and the West. The heroine (Saira Banu), though Indian by birth, is Western in her outlook and behaviour as she's brought up in London. Culture is also about how we are brought up. "When my India gifted "Zero", then, the world learned to count. India has first taught the world the language of stars (astronomy). It'd have been tough to estimate the distance between the Earth & the Moon. Where there was the first civilization; the birthplace of Arts- That's our own India. The World followed India and progressed and kept on progressing. May God ensure that we progress more and flourish. I am singing the songs of that land where love is the tradition/culture. I am an Indian citizen, I'm narrating the tale of India. There's no difference between Black & White; We connect to every heart. If we don't know anything else, We know how to shower love. I'm repeating what the World has already acknowledged. We may stay in other countries, We have won hearts. Where even now there's Ram in a male, and Sita in a female. I bow my head (with respect) as there have been great people. There's so much love that we even call our rivers as "mother". There's so much respect that not only people, but stones/rocks are also worshipped. I am proud to be born on that land. I am an Indian citizen, I'm narrating the tale of India." The above 1970 movie-song-lyrics may seem idealistic and may not be acceptable in today's age considering some recent happenings. Our culture says worship the Earth, Air, River etc. But, we continue polluting these. Indian culture is strict about maintaining cleanliness, Sanitation And Hygiene. You and I are consciously or unconsciously shaping our culture. The way we behave shows Indian culture. We must remember that each of us is a brand ambassador of India. If we behave well, Indian culture earns name, accolades & fame (like in the above video). - Vasudhaiva Kutumbaakam- The world is a family. - Atithi Devo Bhava- Guest is God. Unfortunately, many have framed rigid rules that were originally never a part of 'Indian culture'. For example, education and equality of women. Ancient India had intelligent women Rishis or saints who composed Sanskrit shlokas, spread knowledge and took part in religious ceremonies - performed sacrifices and worship. I feel if we all make an endeavour to support Indian goods and products, we support Indian culture too. For example, if we wear Indian clothes and gift Indian-made items, we can help contribute to Brand India, 'Make In India' & 'Made In India'. My post- Be Indian has some more ideas. May we all follow the path of honesty, fairness, respect, compassion, equality... and uphold India and its values. Indian culture is so vast that this one post CANNOT do justice to it! I feel 'Indian culture' is strong and accommodating enough to adapt, evolve and survive with the sands of time and winds of change. Note- These are my personal-views. I am a conscientious & proud Indian. A very interesting post ! I have an Indian friend, we used to work together for 10 years in 1965 and he and his French wife live 2 streets farer. Through him I learned a lot about India and his cooking is just a delight ! Thanks for stopping by & sharing, Gattina! Interesting read. I love India because of its Culture even though we have so many issues, be it religious, political, or any other. Thanks for your appreciation, Deepa. I feel my posts are inadequate & not detailed enough whenever I write about India! There's so much more I wanna share! Yes this is interesting ! You have done a great job ! Glad you found this interesting. Do visit India for more. Great that you have tasted Rasagolas in Odisha. You must visit during Rath Yatra. This year the Nabakalebara festival will be there after 19 years. Great work! Exhaustive...all encompassing...loved the variety, Anita! Wonderful indeed!! Thanks for your nice words & appreciation, Amitji :) Delighted that it appealed to you! Whoa! I am a bit more learned today! Hats off to you for compiling so many good points. There's so much to learn about incredible India, Indrani! How we all are amazed! You've covered almost everything here in this post, Anita. Nicely done. :-) I always enjoy reading your posts. Anita, I am learning so much about India from your posts, and am really enjoying the tour! That makes my day :) Glad you like the e-tour, Linda! Wonderful and enlightening post! There's such depth, color and diversity to Indian culture and I feel richer each time I learn more. Thank you for sharing! It's my proud privilege & pleasure to share. Though I am an Indian, I share your views- even I feel richer and amazed every time I learn more about India! Wonderful post, Anita. It also reminds me of modern movies regarding Indian Culture like Namaste London, Pardes.Ye Duniya ek dulhan. Dulhan ke mathe ki bindiya, Ye Mera India....... Karma mera India. Dharma mera India. Thanks for sharing more info, Ravish! Even I thought of these modern movies while writing this post. In Namaste London, the hero (Akshay Kumar) makes a lovely patriotic speech in London to express about India. We indeed have a rich culture, but alas! the crave to adapt the western and digital age is overpowering it, huh! Also, there's a craze for all "phoren" goods and items. lots of important discoveries, as the song indicates! Yes Roger. There's a lot more than what the song indicates. The fact is India ought to get credit for many many amazing discoveries that have helped the progress of our world. Hope we all recognize, feel proud and work to preserve and enrich our culture better. As for culture, yeah the ancients had it right; the modern misinterpreters, not so much! Yes, we need to make the most of the ancient Indian knowledge & wisdom. I love the way you have related 'Culture' to Rasgullas.Such a lovely post! Glad you liked it Ankita! The disclaimer is because some won't agree with my views. That's the beauty of India that we have the freedom of speech & expression. We may disagree even though we belong to the same family or city or state or 'culture'. India has successfully withstood the sands of time & the winds of change. We wish & pray that may it uphold its core values and may Indian culture flourish & continue amazing & guiding the world! I always learn something everytime I visit your blog. And this time it is no exception. But this time your post lacked something. YOUR RHYMES!!! I was expecting one. Anyways, thanks for sharing. Also, I have just completed my 100th blog post and it would be great if you could manage some time and be a part of my celebrations. Have a good day. Congrats for your 100th blog post! Wish you many milestones ahead. Excellent article, Anita! Nodded reading every single line about Indian culture... I loved reading the translation of the song from 'Purab aur pashchim'... Simply superb! Hey, didn't know that Rasagola has its origin from Odisha! Great to know about that! Thanks for reading & for your nice words, Sindhu! Yes, many don't know about Rasgulla/Rasagola's origin. Odisha deserves the credit. Yes, Odisha must get the credit. Don't know how I could not notice the colourful varieties of Rasogola! 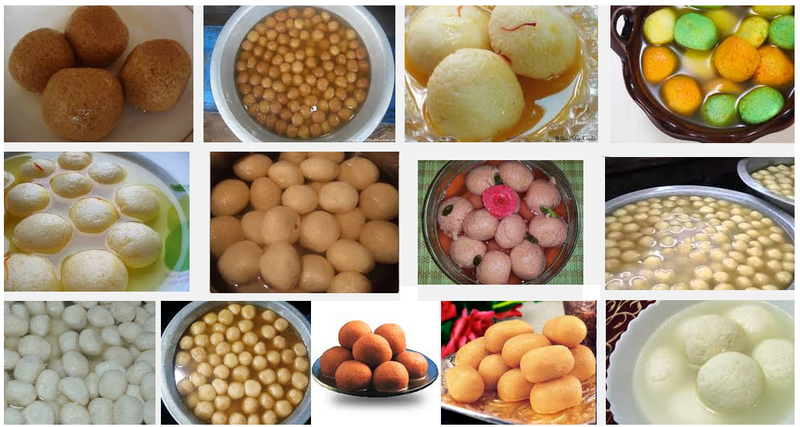 Your rcent post on Rasagola Dibasa dragged me back... Drooling! Very well said, Anita! Yes, We are all brand ambassadors and represent a country that has had a rich cultural heritage. As you rightly said, the time has come when we all need to embody it - in its purest form. Truly Arti :) Proud to be a part of our rich and glorious cultural heritage. May we all feel so & be proud brand ambassadors & wow the world. Superb post Anita :) I need to taste all of em' now :) starts day dreaming already ;) Thanks for sharing! Yes this Superb post and it is very interesting.... You have done a great job Anita. Thanks for stopping by and for your nice words :) Glad you liked it! Nice post on Indian culture and vivid and lucid description about it thanks.